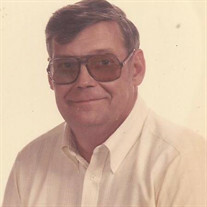 Adelbert James Balser, 75, passed away May 20th 2017. He was born June 1st, 1941 in New York. He was of the Church of Christ faith. In his earlier years he worked as an auto body and fender serviceman and he enjoyed talking about cars. He achieved several certifications for various kinds of work. He retired as a waste water manager from White Rodgers of Batesville. Most importantly he was known as a good husband and a good father and grandfather. He was preceded in death by his parents, George and Beryl Balser; three sisters, infant Rose Balser, Marietta Lindstrom, and Clara Emerson; two brothers, infant Henry Balser, and Gale Balser. He is survived by his wife of 54 years Gladys Balser; one son, Roger Balser and his wife Debra; one daughter, Tammy Armstrong; four grandchildren, Micheal Balser, Stephen Balser, Deanna Gilbert, and Keith Hinson; and four great grandchildren. Visitation will be Tuesday, May 23rd from 6-8 PM and the funeral service will be Wednesday, May 24th at 2 PM both at the Willis Funeral Service Chapel. Burial will follow at the Barnes Cemetery near Bethesda.